She definitely can't stop, won't stop anytime soon. Anyone who’s ever owned a pair of Chuck Taylors knows exactly how versatile it is, even if it was originally intended for basketball. A fashion staple, it just makes any outfit work: denim jeans, maxi dresses, linen pants, floral summer dresses, dress shirts, culottes, even wedding gowns. And it's the kind of kicks you wear not to become someone else but to be who you are. Despite the skepticism that surrounds her, Miley still keeps an open mind and has always been unapologetically herself. Partnering with Converse has given her yet another outlet to channel her self-expression. 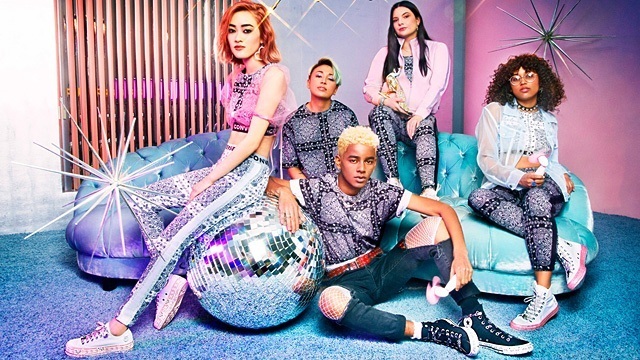 The limited edition Converse x Miley Cyrus collection is a celebration of individuality across all genders, orientation, size, and age, and allows fans to mix and match pieces together to create looks that work with their unique styles. For inspiration, the singer and actress tapped into her colorful persona as a performer and her casual day-to-day style to design footwear and apparel anyone can wear anytime. The line features funky Chucks all aglitter and paisley-printed clothing for those who are country or punk rock at heart–bold statements from an even bolder brand ambassador who’s truly mastered the art of originality and having fun. 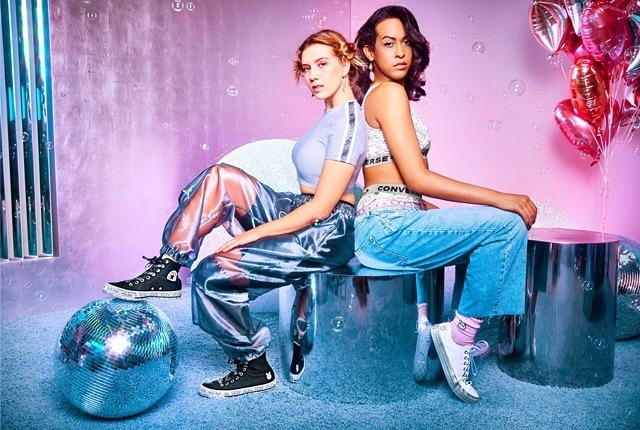 The Converse x Miley Cyrus collection is available in the following Converse store locations: Glorietta 2, Greenbelt 5, Shangri-La Plaza Mall, Eastwood, Festival Mall, Lucky China Town, SM Cebu, Ayala Cebu, and Landmark (Alabang, Makati, and Trinoma branches only). Follow Converse on Facebook for more information.